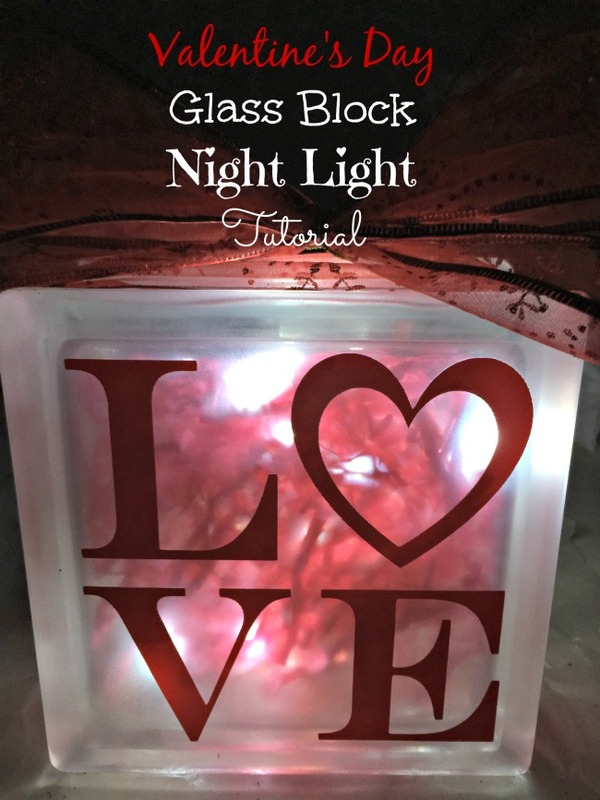 Glass Block Night Light Tutorial! I have been wanting to make a glass block night light for awhile now, but just haven’t gotten around to it. One of the reasons being that we were up in NY taking care of my mom and it was too cold to spray the glass block with the frost. It hadn’t reached 30 the entire time we were there. But I’m kind of glad I waited because I got the glass block for half price ($5) after Christmas at Hobby Lobby. I do kind of wish that I had a Silhouette or Cricut machine for the vinyl. I purchased them on Ebay for only a couple dollars. You can also paint them if you are talented. Me…not so much. 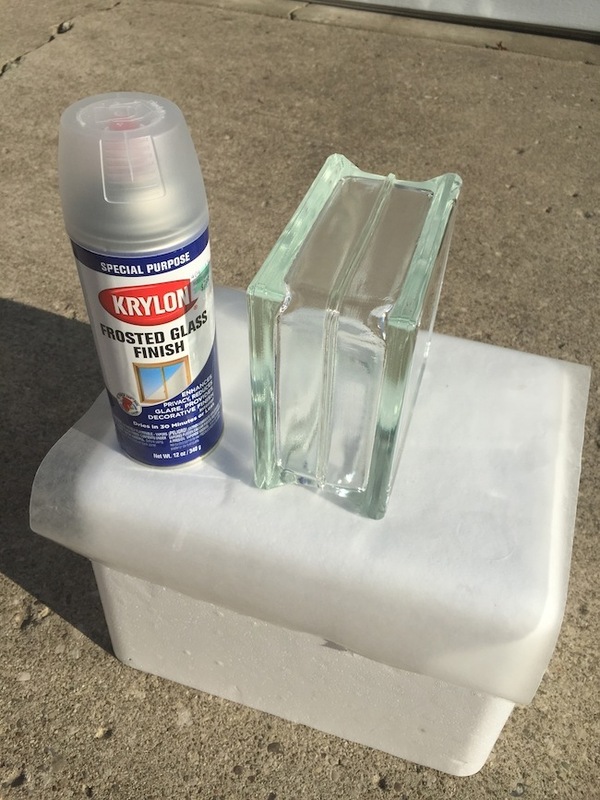 Once I finally got a nice sunny, slightly warmer day, I headed outside to spray my glass block with the frost. I purchased that Walmart for about $7. The ribbon I got at the dollar store for .50, also after Christmas sale. You can get some really good deals after Christmas at most stores, even if you are just stocking up for next year. 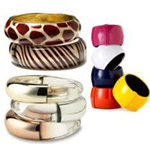 Glass Block in the size you choose. Ribbon in your choice of color. Vinyl or paint to place on the front. Shredded paper for inside, but you can use whatever you like, even nothing if you want. Lights, I used battery operated LED lights, which I also purchased at Hobby Lobby for half price. 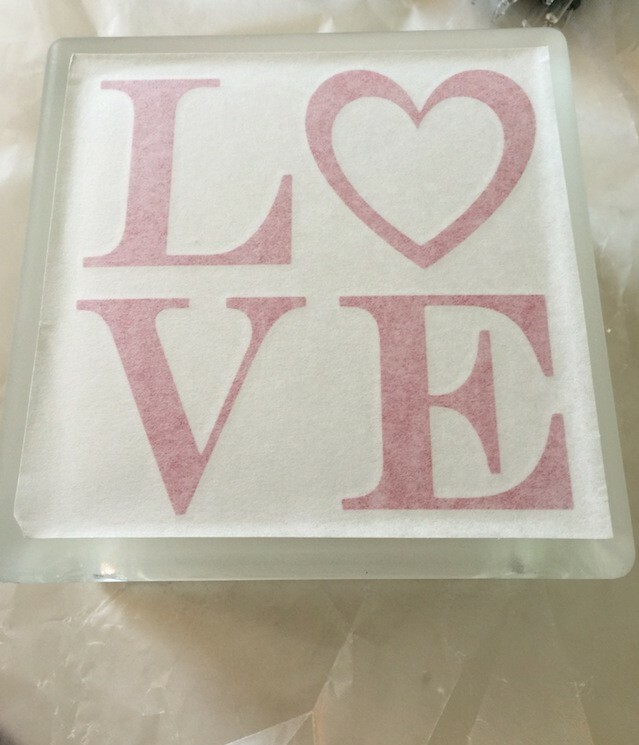 Spray glass block and let dry for 24 hours or more. I only used one coat but if you want it frostier, than you can do more. Just be sure to give it time to dry in between coats. I used waxed paper so it didn’t stick. Place your vinyl sticker or paint it if you so choose. Fill the inside with shredded paper and arrange battery operated lights through the hole in the bottom of the glass block. 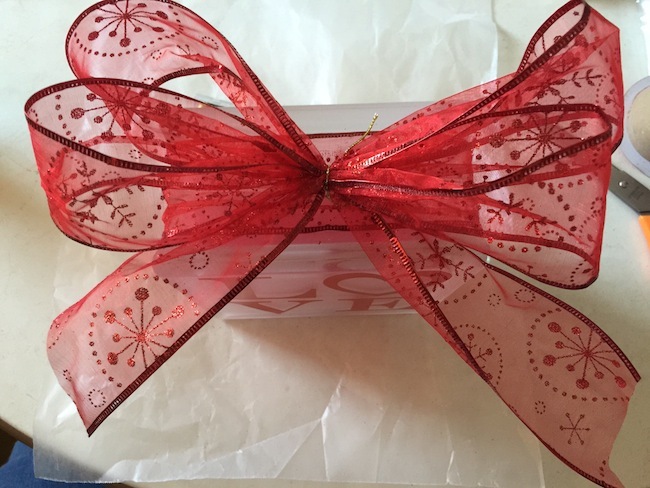 Wrap with ribbon and place a bow on top. I glued the ribbon in place first before I made the bow. Then I glued the bow on the top. That’s it! All done. 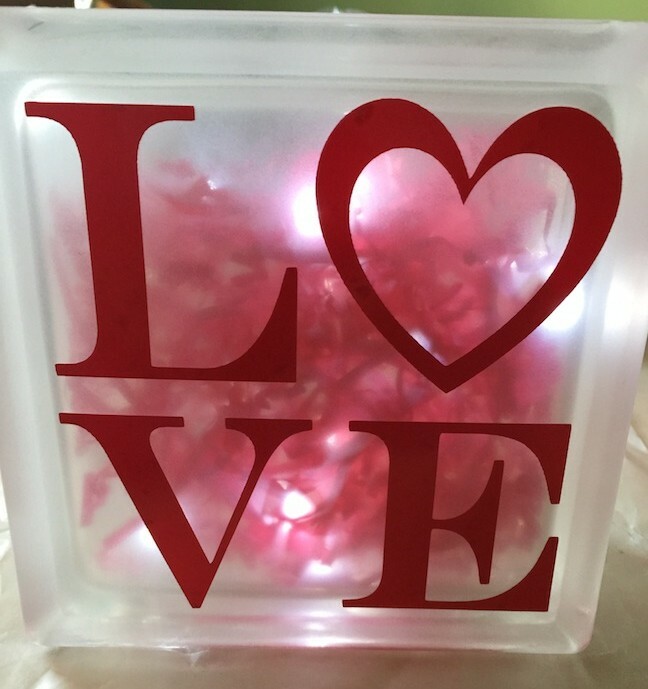 Now you have a nice romantic Valentine’s Day glass block night light to place in your bedroom or anywhere you want a little romance. You can even put in your kids bedroom for a nice warm glow. Of course, you can always use electric lights. That was my original intention, but it was too late to find a small 15 or 20 line. Be sure to check out my Valentine’s Day Deco Mesh Wreath and Dollar Store Toilet Paper Roll Valentines for under $5! 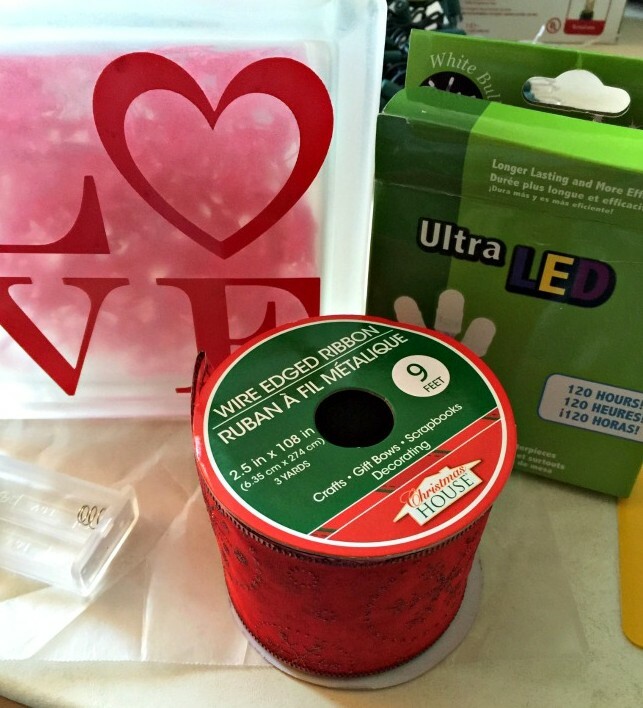 What Valentine’s Day crafts do you like? 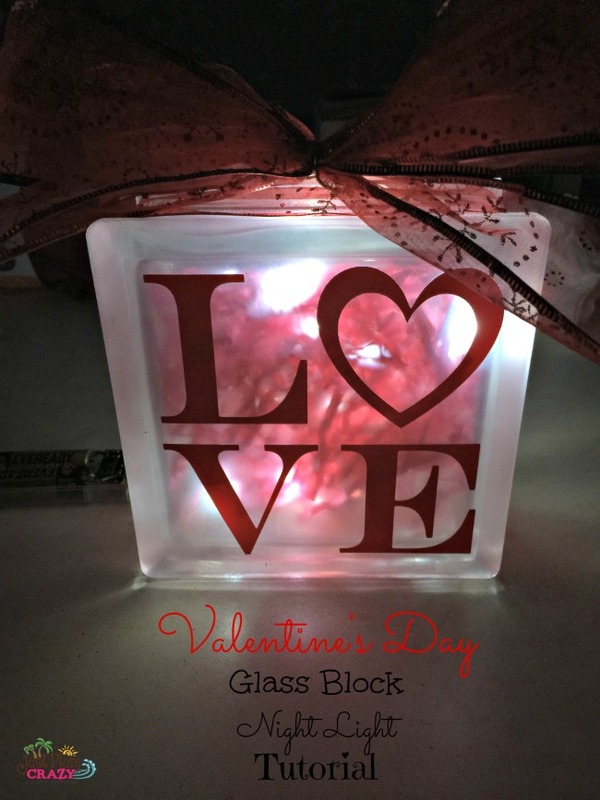 Topic: Valentine’s Day Glass Block Night Light Tutorial!